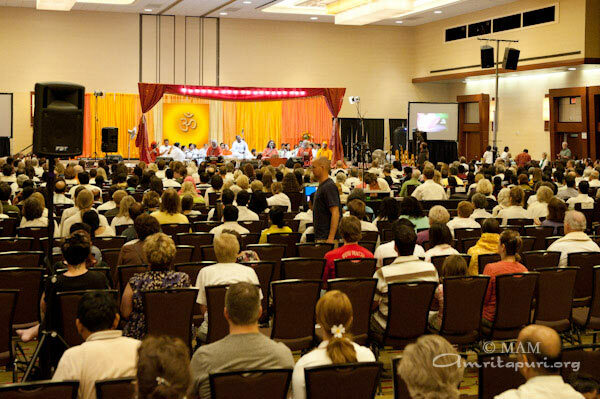 From USA, Amma arrived in Canada and visited the Ashram in Toronto. On behalf of the city of Toronto Amma was welcomed by Tony Ruprecht, Member of Provincial Parliament, Ontario and David Ryan, Mayor of the City of Pickering, Ontario. 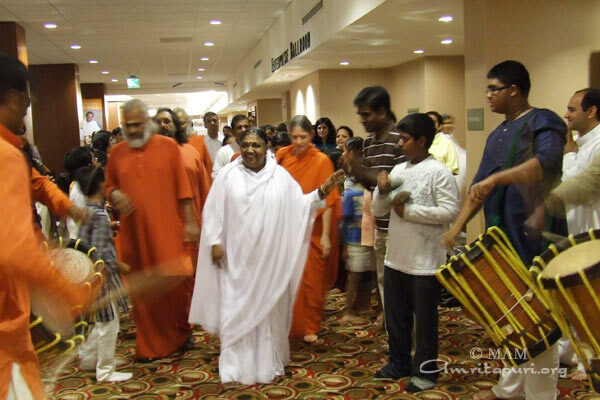 Ruprecht welcomed Amma saying: “Like little children we are waiting for mother to arrive. 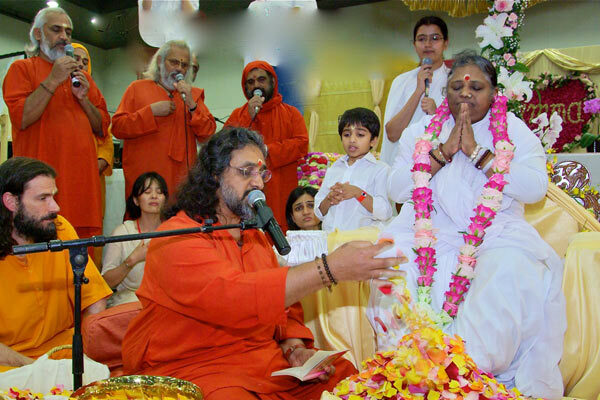 She is providing spiritual nourishment.” Ruprecht also carried a message of welcome for Amma from Ontario’s Premier, Mr. Dalton McGuinty. 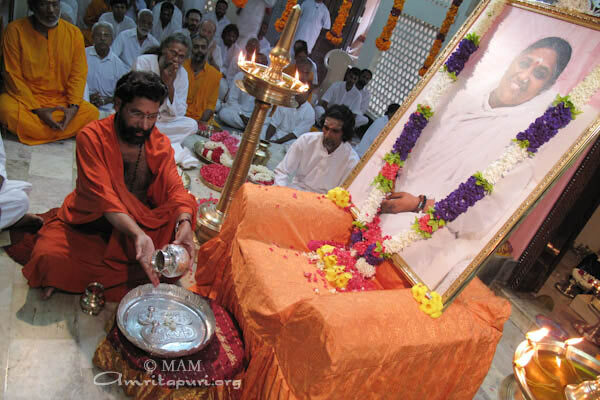 Guru Purnima, the day dedicated to the Satguru, was celebrated joyfully today, here at Amritapuri. 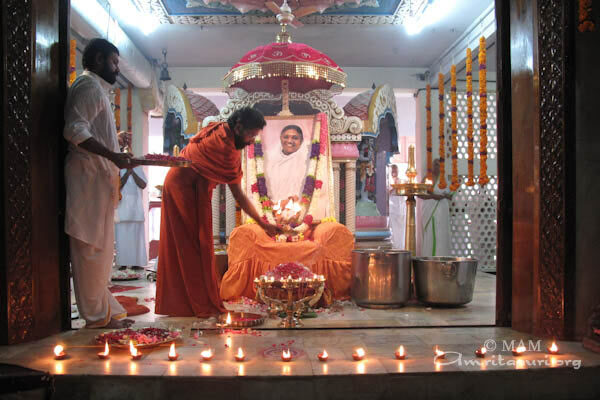 After the morning Archana, a beautiful ceremonious Paduka puja was performed by Swami Turiyaamritananda Puri, one of Amma’s earliest disciples, amidst soulful Vedic chants by the ashramites. 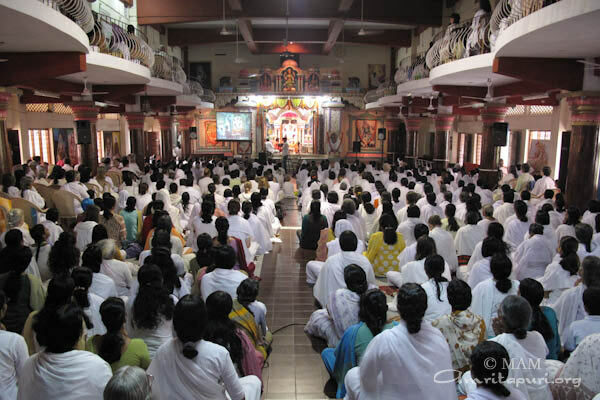 As Amma got up to leave, Amma looked into the webcast screen and called out to all her children while each one answered in various languages from the various places. 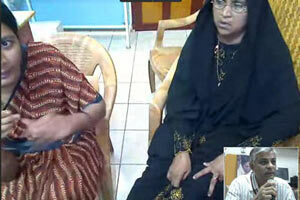 As Amma left, she gestured “come come” simultaneously saying “kisses, kisses”. 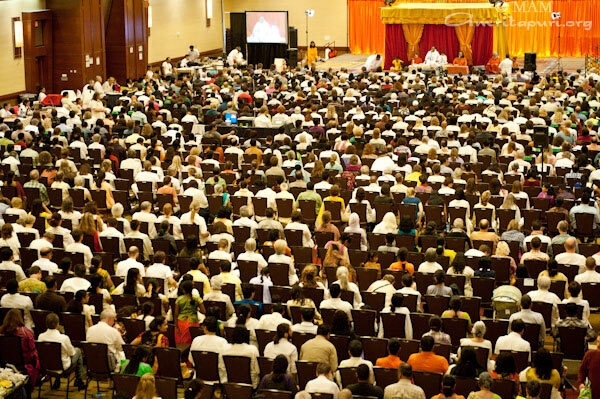 Amma was welcomed to her annual programs in the Boston area by esteemed members of the political, religious and educational community. 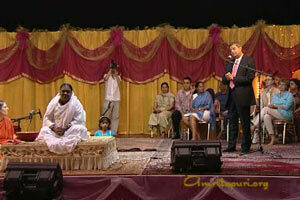 Michael Johnson, a representative of the Pathways to Peace to the United Nations in New York was first to garland Amma. He was followed by Roman Catholic priest Dr. Francis X. Clooney, who is a professor of divinity and comparative theology at Harvard University, as well as the university’s Director for the Center of Study of World Religions. Another Harvard professor, Dr. Venkatesh Narayanamurti, the Dean of Engineering and Applied Physics, also garlanded Amma. 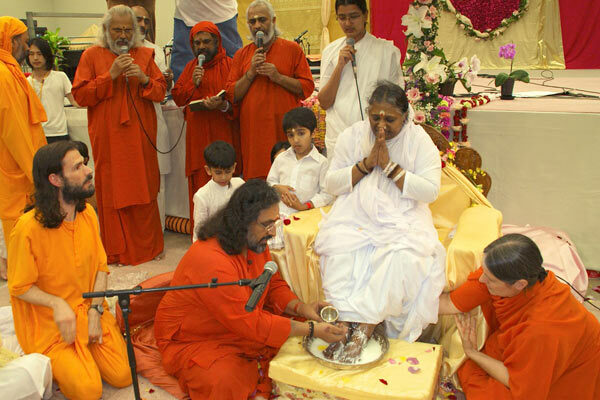 Michael Johnson, who has been instrumental in arranging the United Nation’s annual International Day of Peace, said that introducing Amma was the highest honor of his life. 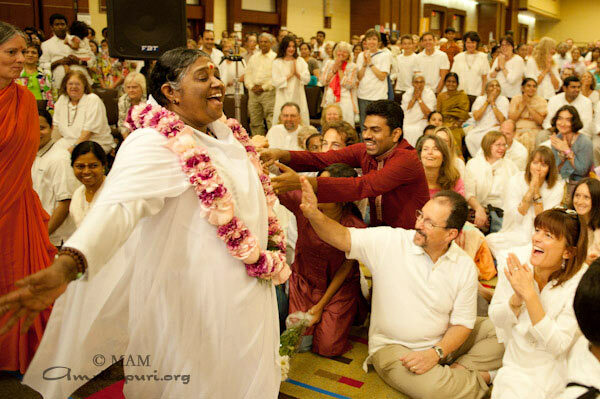 “There are really no words than can describe Amma,” he said. “She can only be experienced with a quiet mind and an open heart. And that’s what I hope to do this evening with you all. “Human civilization has seen great souls come down to earth and help lift and guide humanity throughout the ages. We have seen many of them—both men and women. 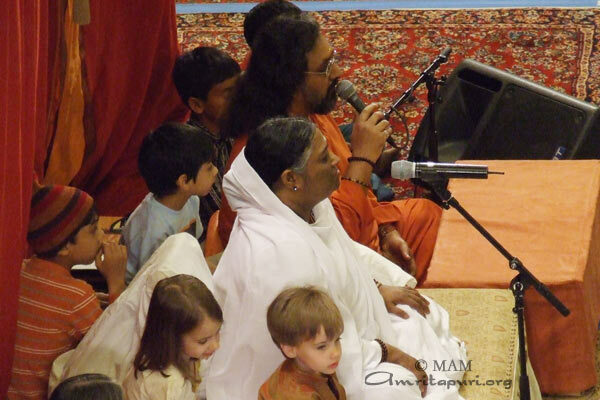 It is our great fortune that our mother, Amma, has come to earth to raise us during these dark times. So I am really, really, really grateful that she is here with us to inspire us and to raise us and to bless us. 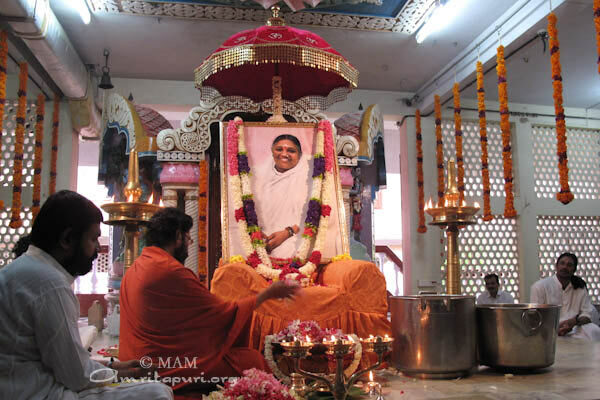 “God also gave us a model in Amma, in her humanitarian work. Just seeing the video of all her work before I came up to speak was actually mind-blowing. 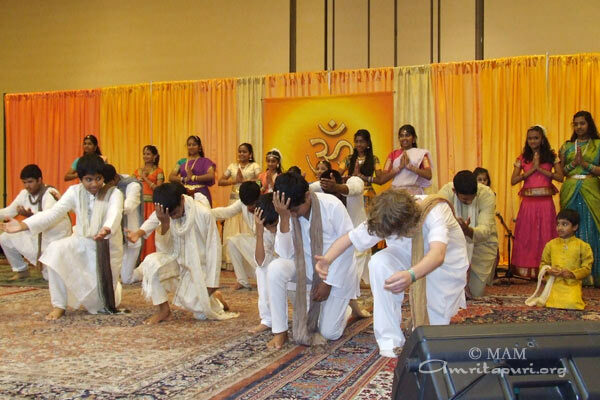 The amazing work that Amma has been able to perform and inspire people to perform has been beautiful. 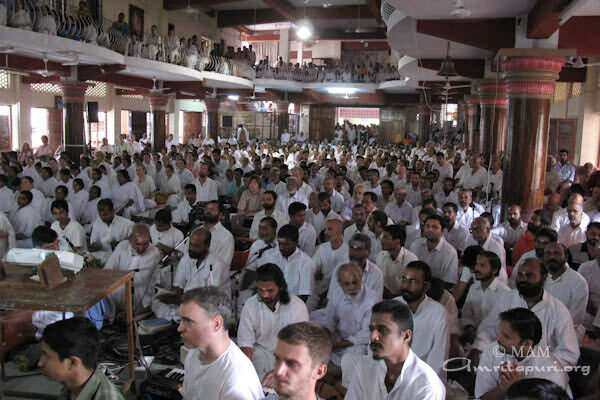 Father Clooney also spoke of Amma’s humanitarian works: “Amma’s concrete and real works of mercy are known everywhere. Hers is a faith lived out in compassion, love realized in feeding the hungry, giving shelter to the homeless. And so it should be. … True wisdom is not separate from compassion. This core insight gives life once and again, and it comes forth with great force when the message and messenger are one. 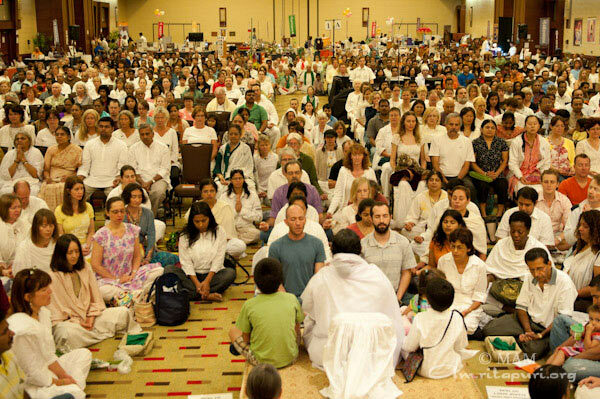 After a 14hours drive from Dallas, Amma arrived in the city of Chicago, in the state of Illinois. Chicago is the largest city in Illinois. Today, the city retains its status as a major hub, both for industry and infrastructure. The next stop will be New York City. Dallas, the third- largest city in the state of Texas is home to the famous Major League Baseball Team the Texas Rangers. 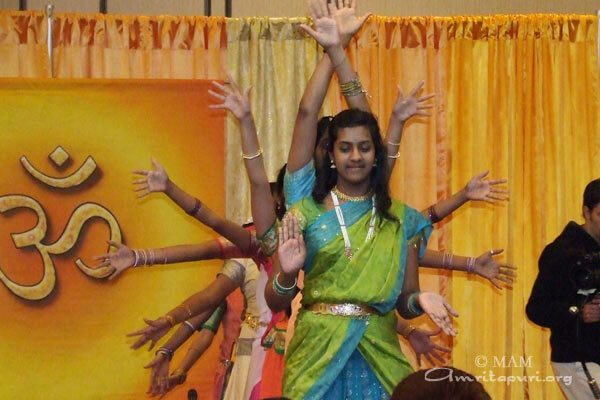 The devotees of Dallas gave Amma a hearty welcome and celebrated Amma’s visit throughout the two days of program with a variety of cultural performances. 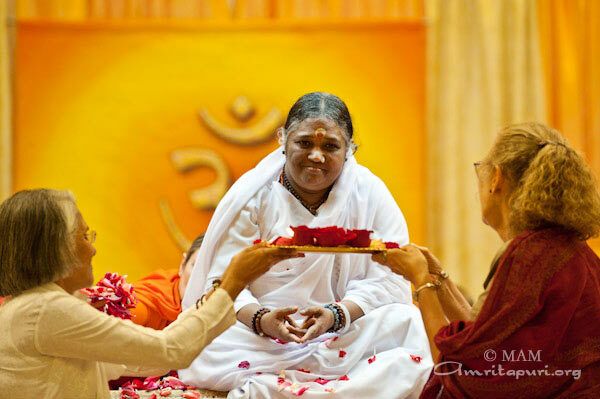 The devotees from Dallas offered Amma a cake to thank her for coming to Dallas for the past 20 years. 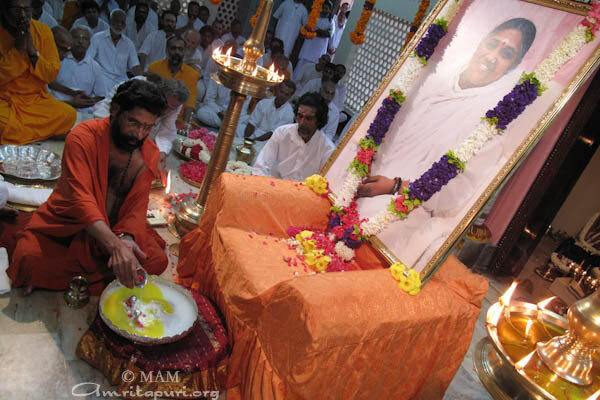 On that Amma wrote ‘AUM’ in her native language, Malayalam. 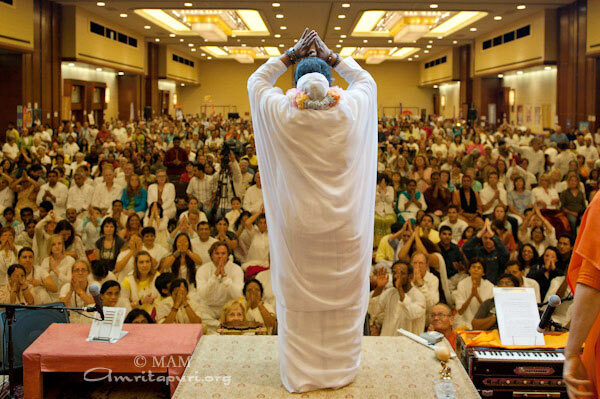 At the end of a long Darshan the devotees lined up and started singing spontaneously. March 25th 2009 marked the beginning of the telemedicine connectivity between Amrita health care center at Shadipur Port Blair, Andamans and Amrita Institute of Medical Science, Kochi. 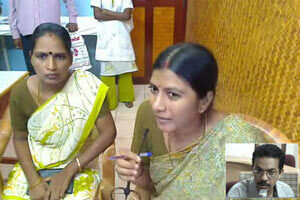 Thousands of people were benefited with this initiative. Patients needing specialized care located at Andamans were provided with treatment advice, second opinion, follow-up care etc with the help of this telemedicine facility. Within a year approximately 3000 patients –more than 8 patients a day– tele-consultations to Amrita health center at Andamans were provided from AIMS. This service has helped in preventing unnecessary patient referrals to distant hospitals located at the mainland thus avoiding huge travel cost for patients. This initiative has brought out better health outcome for patients and also helped in attaining higher level of confidence in the community’s local health care system.